So this might be a preview of the '17? I think I like the 14 FR-S the best of all of them. 14 is the same except they had the ECU issue from the early 13s worked out so it is slightly safer reliability-wise. 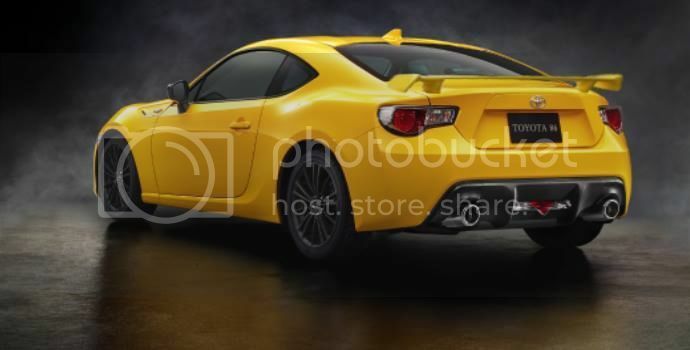 I don't mean any disrespect to the re-design, but I'm glad that I got my FR-S when I did; I think the new bumper looks like a fusion of the current BRZ and FR-S, and I feel like a lot of the aftermarket support for these cars has slowed down over the past year, so I don't know how many options there will be for styling, etc - I love the lip, etc that I have on my car at current. Thanks for the update, and the pictures! I like how everyone can obviously tell what it looks like without the vinyl and know without a doubt that it's uglier than the current model. I like the front bumper...it looks more mature, maybe? I feel like the current front bumper with the fangs is a little boy-racer childish. Look at the bottom of the front bumper. The new one has fangs, they just resemble the 370z more. it must be an FR-S not a BRZ because of the "T" pattern on the grill.